If you haven’t paid much attention to your door lately, consider a fresh coat of paint. 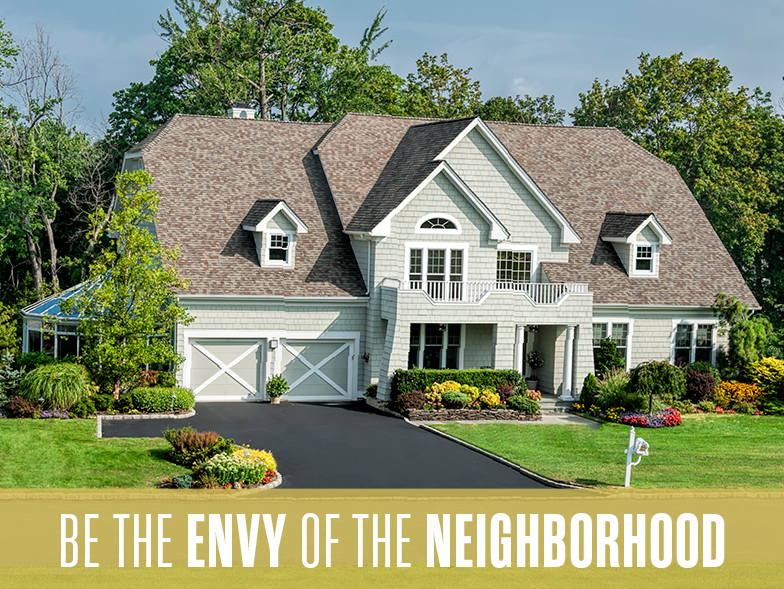 And don’t be afraid of a bright pop of color—just remember that the color should complement the overall feel and color scheme of your home’s existing exterior. Adding plants and flowers can be a great, easy way to add pops of color to the exterior of your home. Consider a variety of flowers in coordinating colors, or pick up ready-made arrangements for a quick fix. Window boxes are another easy way to add some color or greenery to the front of your home, and will instantly add appeal. Modern hardware—whether on your front door, garage, or mailbox—can help bring your home into the twenty-first century. Take a trip to the local hardware store and look for pieces that are clean and modern, just make sure all of the finishes match. Choose numbers in a modern font with a finish that matches your other exterior hardware (light fixtures, door knocker, etc. ), keeping size in mind. Replacing or painting your old, worn-out mailbox can make a tremendous difference in your home’s curb appeal. Also, pay close attention to the base, and consider adding some flowers for a finishing touch. Don’t underestimate the importance of pressure washing your home’s siding, pathways, and decking. Windows and gutters should also be well maintained. This simple act of maintenance will not only keep your home cleaner, it will drastically improve the appearance. Symmetry is not only visually appealing to the eyes, it is also one of the easiest and fastest ways to add instant curb appeal to your home. Take a step back and make sure any adornments to the front of your home, such as sconces and planters, are symmetrically balanced.